Eat What You Love, Love What You Eat with Diabetes:A Mindful Eating Program for Thriving with Prediabetes or Diabetes - Am I Hungry?Am I Hungry? *Please note: we are sold out of the slightly imperfect book mentioned in the newsletter. After receiving a diagnosis of prediabetes or diabetes, it may seem that the days of “eating what you love” are over. Understanding dietary changes, blood glucose monitoring, and prevention of complications can feel scary and overwhelming. But even people with diabetes can eat what they love, using awareness and intention to guide them. Eat What You Love, Love What You Eat with Diabetes helps readers discover how eating and physical activity affect their blood sugar so that they can make decisions that support their good health without sacrificing delicious meals or dinner out with friends. 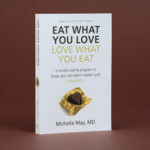 This book builds on the principles in Michelle May’s Eat What You Love, Love What You Eat to help readers with prediabetes or diabetes reduce their anxiety about diabetes self-management. This four-part system helps readers think, nourish, care, and live with diabetes – without restriction or guilt – to discover optimal health and the vibrant life they crave. Eat What You Love, Love What You Eat with Diabetes, is a non-restrictive, mindful approach to living vibrantly with diabetes or prediabetes. The book uses the structure of the Am I Hungry?® Mindful Eating Cycle, a unique awareness and decision-making tool that makes it simple to learn mindful eating skills. It is a great resource for health professionals, individuals, and groups wishing to apply mindful eating concepts to diabetes self-management. This book is also a wonderful complement to other Am I Hungry? 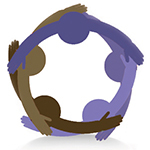 mindful eating programs for participants with diabetes, pre-diabetes, or metabolic syndrome. Buy Paperback $19.95 *Please note: we are sold out of the slightly imperfect book mentioned in the newsletter. 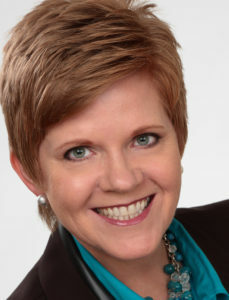 Michelle May, M.D. and Megrette Fletcher, M.Ed., R.D., C.D.E. have teamed up to help people with prediabetes and diabetes learn about the benefits of mindful eating for health, well-being, and better glucose control! 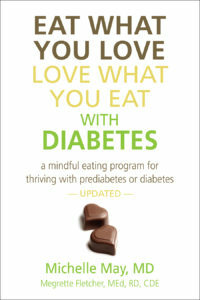 Their updated book, Eat What You Love, Love What You Eat with Diabetes: A Mindful Eating Program for Thriving with Prediabetes or Diabetes is based on the Mindful Eating Cycle and the Am I Hungry? Mindful Eating Program. Megrette and Michelle also share their approach and techniques with other health professionals through articles and presentations about mindful eating and diabetes self-management at conferences such as the American Dietetic Association’s Food and Nutrition Conference and Expo (FNCE), the American Association of Diabetes Educators, and the Dietitians of Canada National Conference. Michelle’s insight and passion for mindful eating stem from her personal struggle with food and body image. After years of chronic yo-yo dieting, she discovered a balanced, mindful approach to food, movement, and self-care. She created Am I Hungry?® Mindful Eating Programs and Training (www.AmIHungry.com) to help individuals resolve mindless and emotional eating and senseless yo-yo dieting to live the vibrant life they crave. Hundreds of health and wellness professionals have been trained to facilitate Am I Hungry? mindful eating programs worldwide. 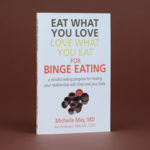 Michelle is also the award-winning author of Eat What You Love, Love What You Eat: A Mindful Eating Program to Break Your Eat-Repent-Repeat Cycle, Eat What You Love, Love What You Eat for Binge Eating, Eat What You Love, Love What You Eat for Students, and Am I Hungry? Mindful Eating Program for Bariatric Surgery. As an inspirational speaker, Michelle shares her compelling message and constructive keynotes with audiences around the world. Her intention is to empower individuals to live the vibrant lives they crave. Megrette Fletcher, M.Ed., R.D., C.D.E. Megrette is a registered dietitian and certified diabetes educator who has worked in diabetes care since 1995. Her interest in mindful eating started in 1999 when she began meditating on a consistent basis. In 2005, she co-founded The Center for Mindful Eating, an international non-profit organization that explores the benefits of mindfulness and health. 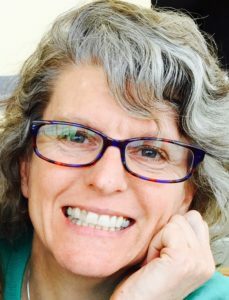 In addition to offering webinar trainings about the scientific benefits of mindfulness and health, Megrette has written five books for professionals including Diabetes Counseling and Educational Activities: Helping Clients without Harping on Weight, The Core Concepts of Mindful Eating, Discover Mindful Eating, Discover Mindful Eating for Kids and co-authored Eat What You Love, Love What You Eat with Diabetes with Michelle May MD.